For a hundred years Flinders Street Station has been the central suburban railway station for Melbourne. It has been an important meeting point, not just under the clocks, but for thousands involved in the diversity of activities that the main building housed. Melbourne is identified internationally by its station and up until now, there has been no vision for the whole precinct’s future which extends from Swanston Street down to Banana Alley. 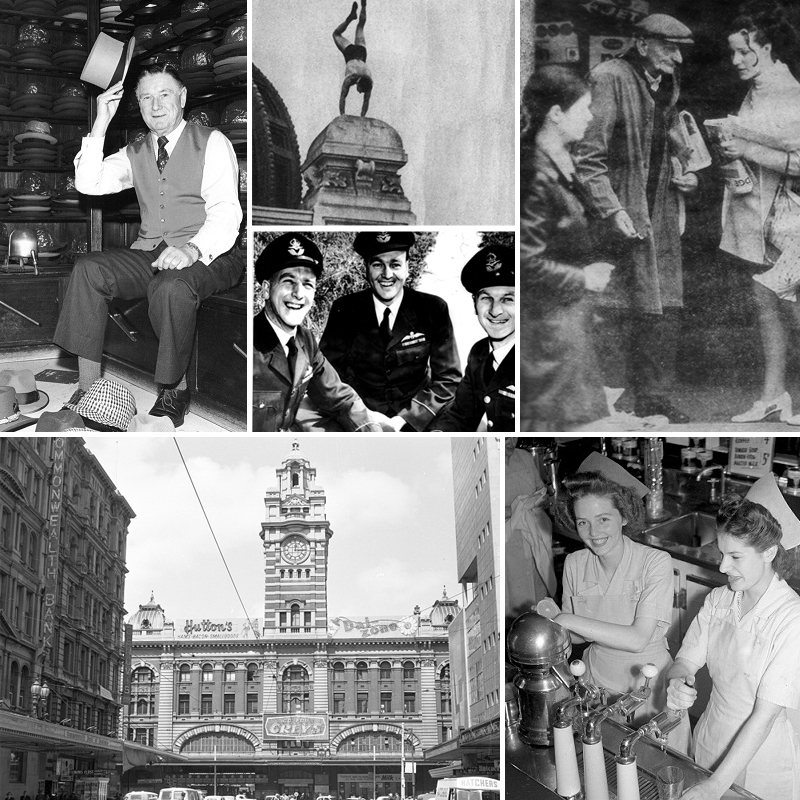 The myriad of additional stories that have been told since the launch of Beyond the Facade: Flinders Street, more than just a railway station, add considerable richness to the weaving of the story which is Melbourne. Write down your stories and they will be added to the website for all to enjoy. If you have any photographs, they would be greatly appreciated as well.